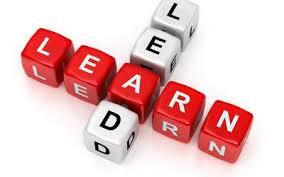 I truly am a lifelong learner. I’m someone who loves to learn new things (as long as they interest me). I go to as many professional conferences that I can. I am on Twitter and LinkedIn every day reading great updates and finding links to valuable blogs and resources. All of these are positive ways for me to learn. But what has been my best experience as a learner? When I first heard the topic for today’s blog post, I was excited (yep, I know I’m a nerd). I could name several great conferences that I’ve been to. I could talk about the trainings I got to lead, and how you learn so much from presenting, too. I could mention some books that I highlighted and tabbed, or fabulous blogs that I follow. But the truth is, the best experiences that I’ve had as a learner have been in simple, impromptu conversations with other people. A chance meeting with someone and a great conversation about education can leave me walking away, thinking, “She totally gets it.” It’s rewarding to meet people who think like I do. Who I can learn from and with just by talking about topics we care about. Do I have a marked up book to show for this learning? No. Do I have notes saved somewhere like those I took at the last conference I attended? No. Do I have a letter grade attached to the learning that took place? Thank goodness, no. But, true learning takes place in these encounters. I’m engaged, I’m enthusiastic, and I’m excited to share my own thoughts and passions. This is why I value my PLN. And this is why I’m always happy to make it bigger. Because I love to learn. This entry was posted in Education and tagged professional development. Bookmark the permalink.